In the 1950’s Ralph Earnhardt piloted a No. 8 machine at dirt tracks across the country. In 1975, his son Dale Earnhardt made his first NASCAR start. He piloted the No. 8 that day at Charlotte Motor Speedway before he made the switch to the No. Before being fired from his dad’s dealership and sent to work on race cars, Dale Jr up to his nose in mischievous things. If there was trouble, the young Dale Earnhardt Jr would find it. The Budweiser One Last Ride commercial aired for the first time today. It’s in honor of Dale Earnhardt Jr’s final race in the Monster Energy NASCAR Cup Series. How will the Dale Jr DEI throwback go over with Teresa Earnhardt? Dale Earnhardt Jr is set to run two throwback paint schemes. The first was announced a few weeks ago. It’s his former NASCAR Busch Series paint scheme. A car that guided him to the championship that year. Yesterday, the U.S. Court of appeals reviewed the “Earnhardt Collection trademark case. The case was filed by Teresa Earnhardt against Kerry Dale Earnhardt. The term “Earnhardt Collection” was initially approved by the Trademark count. The U.S. Trademark Trial and Appeal Board allowed Kerry Earnhardt to continue use of the name “Earnhardt Collection”. 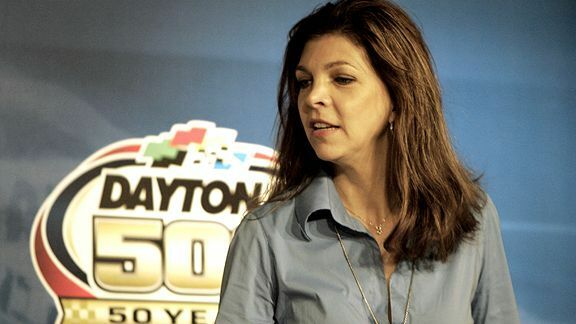 Teresa Earnhardt was the third wife of NASCAR legend Dale Earnhardt Sr. She married into the Earnhardt name and she has since ran with it for the sake of money, control and drama.